While the history forms the basis for what we know of American Standard, a workhorse, utilitarian . . . maybe. 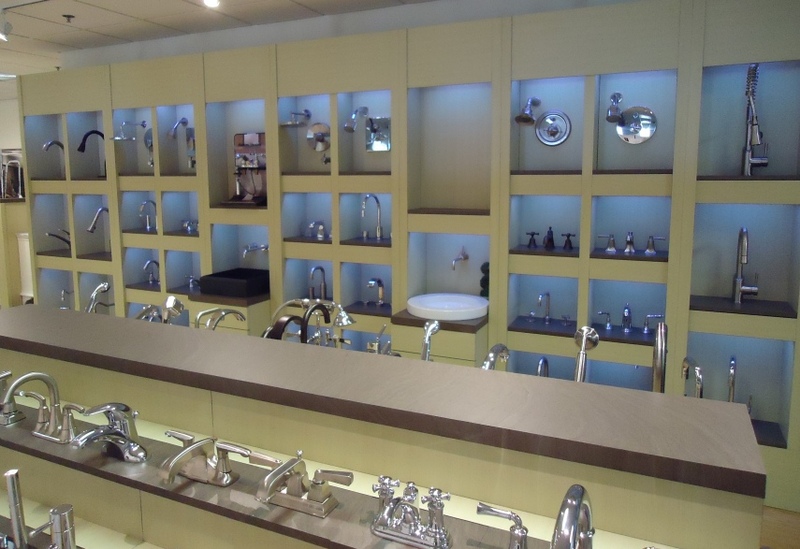 We found ourselves standing in a showroom featuring many contemporary offerings, but all on movable/removable and replaceable displays. 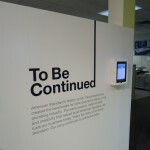 Changing technology and transitions in styling require the company to remain responsive. Add to this, and as Gray puts it, they find themselves now on the “bleeding edge” of water conservation. 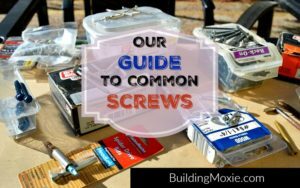 For More Information: Installing a Centerset Bath Faucet with a Speed Connect popup for my dad’s Basement Bath. Here’s the associated video. 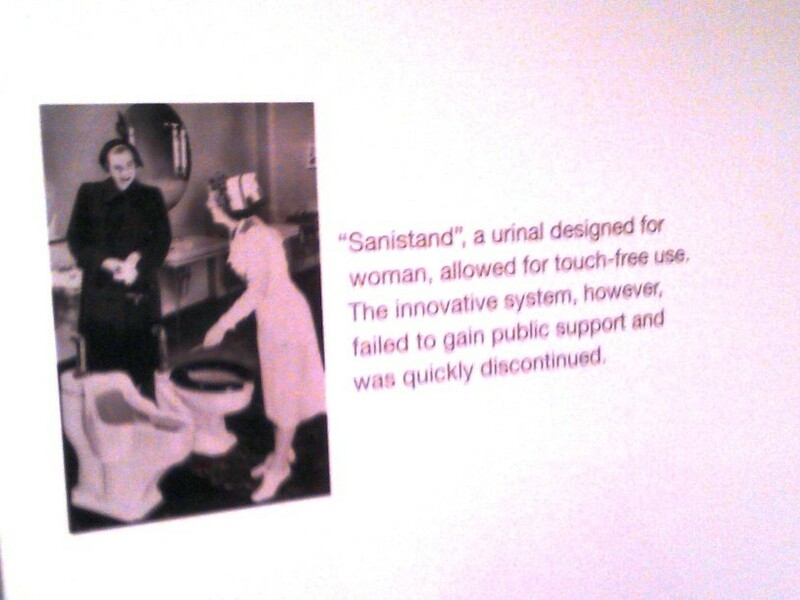 Urinals, yes – we saw plenty (and again maybe in another post) but “utilitarian” – I don’t know, standing in the Piscataway, New Jersey showroom it didn’t feel like it. Sure the lab speaks science (to the tradepeeps and to the do-it-yourselfers), but the designer in me saw and heard some bold statements. 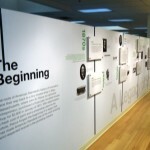 There were several vignettes featuring integrated elements, efficiency-makers/space-savers. 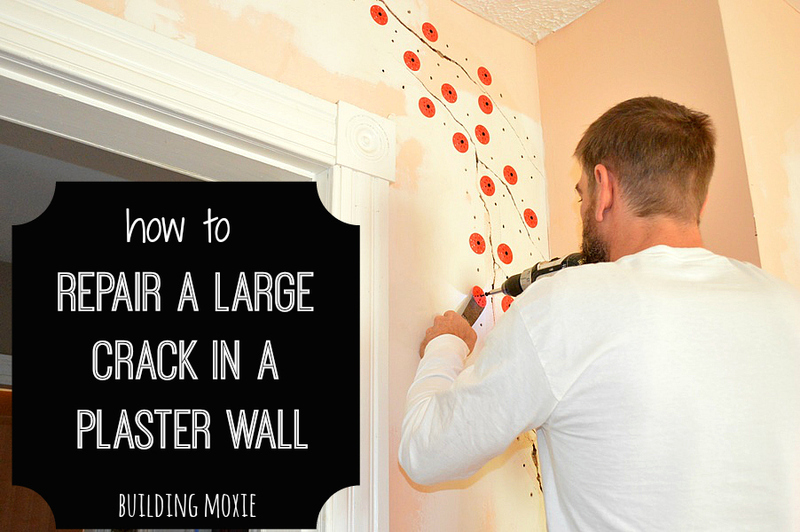 We saw the use of wall space with wall-hung, dual-flush (<< smart!) 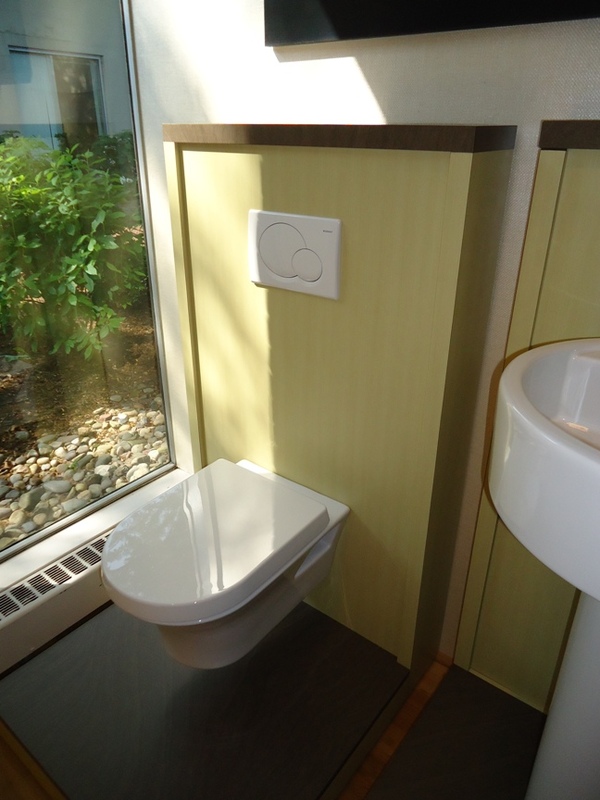 toilets as well as furniture providing ample storage. “Quiet”? . . . hmmm . . . 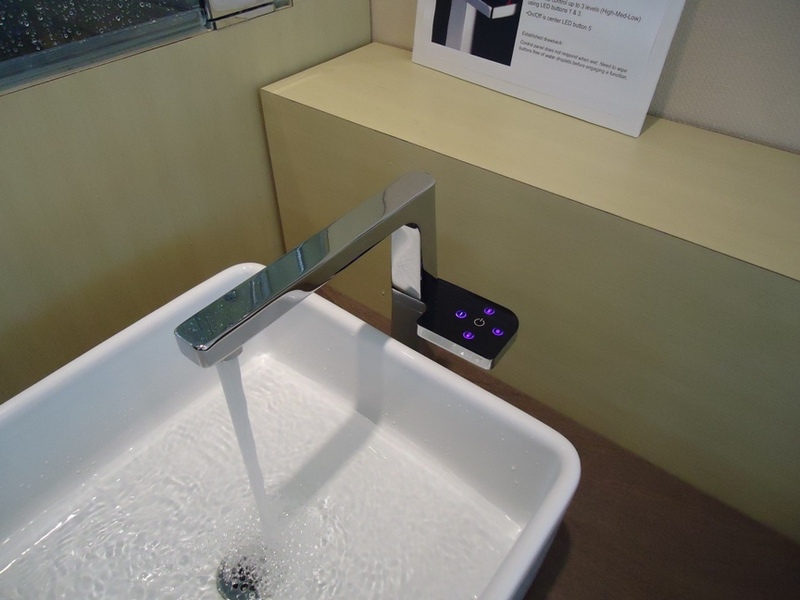 I don’t know — Rich from Adroyt and I sure had fun playing with the iphone-like electronics on this Jado faucet. What I should expect from American Standard? “Geeky”? . . . hmmmm . . . OK, maybe . . . but you know what they say about geeky . . . it’s kinda like the new gold. But the question did come up early. 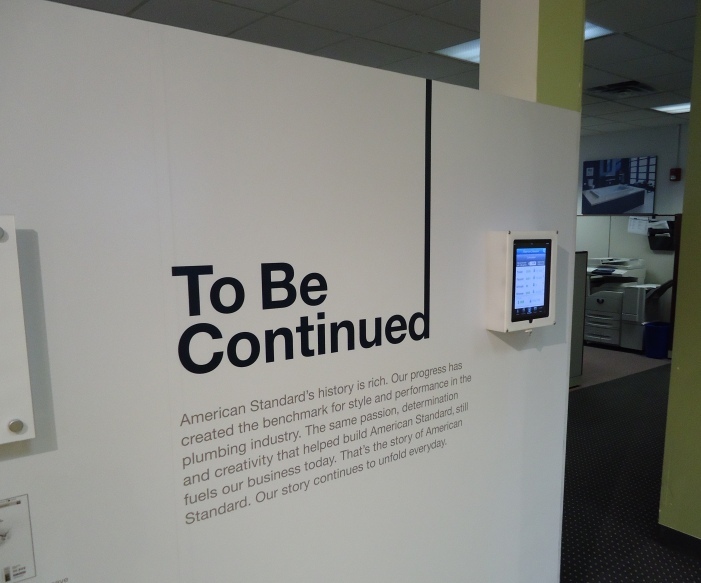 As American Standard grew initially from a partnering of manufacturers . . . so too do they continue to grow, perhaps mirroring that early strategy, by adding elements like Safety Tubs, as well as the luxury lines Jado and Porcher. Gray could not claim the distinction when asked; he believed Porcher was in fact older. . . and well . . . . And these additions may work not only to expand an already rich heritage, but they also, very apparently, add breadth to an already diverse product array. Whew, I hope that wasn’t too much overwriting, but there is a ton to share. 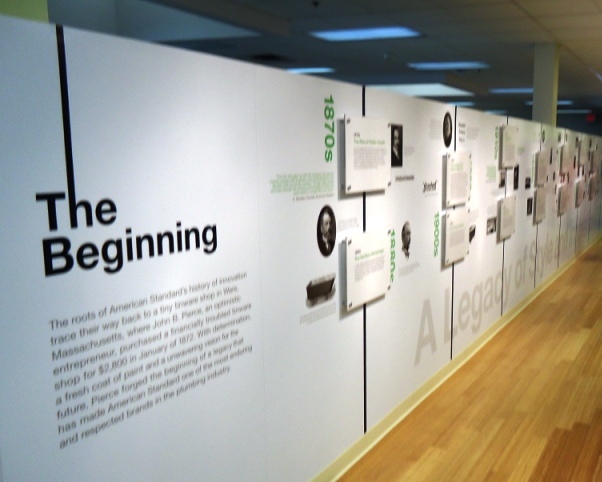 I still might have a (nerdy) post on toilets brewing, but I probably should spend some time trying to tell you a little bit about Kentucky and GE Appliances and some other things too. I will mention that all my expenses were paid on this trip, but the opinions are mine – and I hope they were all presented fairly. Thanks for reading. 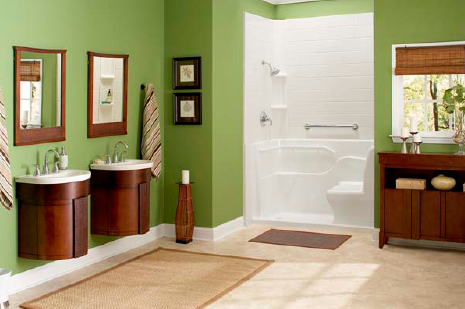 * Find a wide array of American Standard products, on Amazon via our affiliate link, here. 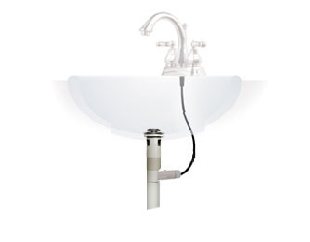 * Little bit of supporting information on ceramic disc-equipped faucets. * A short vid on installing the No-Tools Toilet . . . looks easy! As you know, your landscape constantly demands water. A rain barrel is a great way to collect water that would be otherwise wasted. 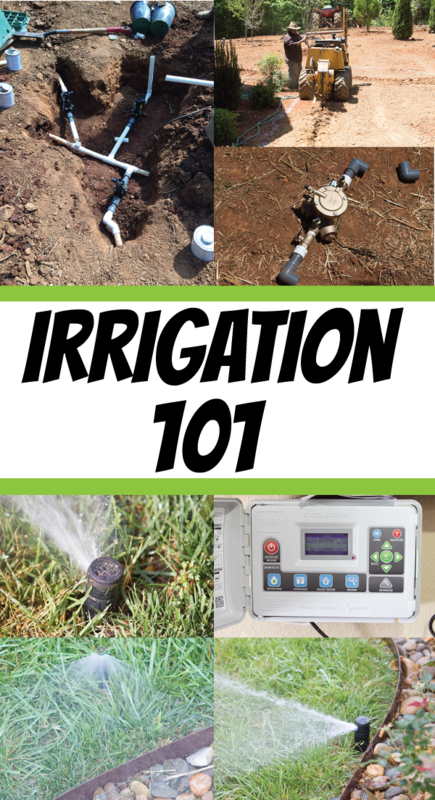 It helps fulfill for those lawn and landscape watering needs. 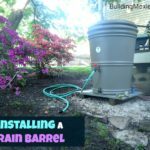 In this article, I discuss how to locate and set up a pre-fab rain barrel (Earthminded's RainStation). I love the Jado line. And I”m into sustainability and low-flow, especially as water is precious here in Santa Barbara. 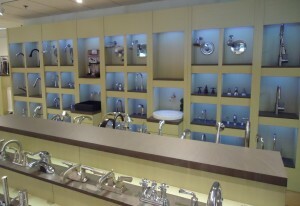 Oooh, love those above-counter sinks. I even have one in the boys’ bathroom! Drooly drooly drooly. drooly ha! they have such a wide of array of products it is tough to do it justice with a single post… and you know, I really didn’t have time to get into any of the nerdy labby stuff that was so much fun. Glad you enjoyed though and I hope you are having a super 4th my friend.